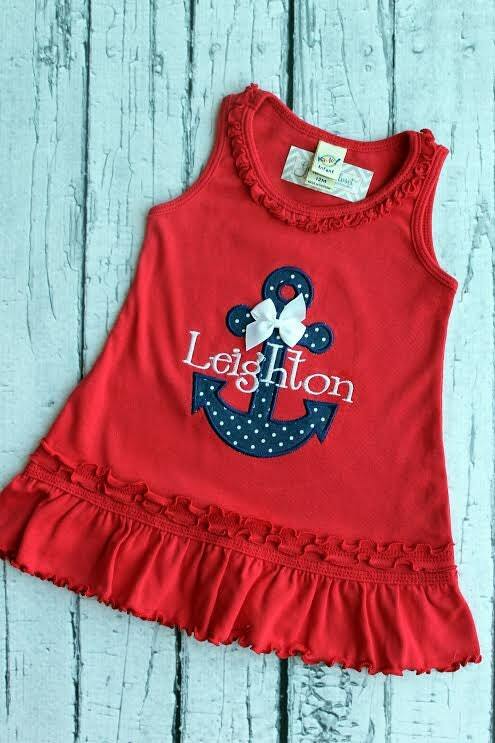 A nautical, polka dot navy blue anchor is appliqued on a red, sleeveless ruffle dress personalized with a name and finished with a 3D bow. So darling for Summer and any patriotic event! Please specify your size choices and name in Notes to Seller at checkout. Items are handmade with the highest quality products and attention to detail.